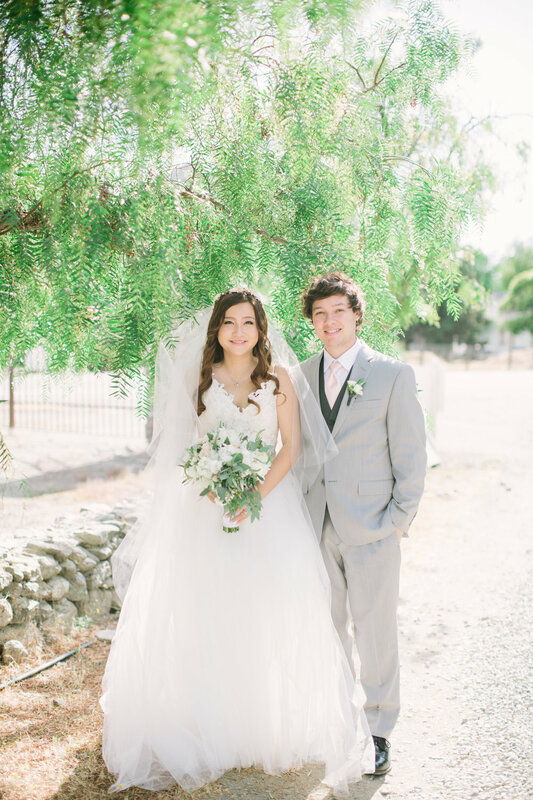 The Crooked Vine Winery in Livermore California has an intimate rustic vibe, perfect for this soft romantic summer wedding. The adorable bride carried a rustic waterfall bouquet with peonies, garden roses, super blush tea roses, veronica, and dripping eucalyptus and olive branches. Her bridesmaids wore soft mint dresses and carried rounded rustic bouquets with touches of eucalyptus and olive. 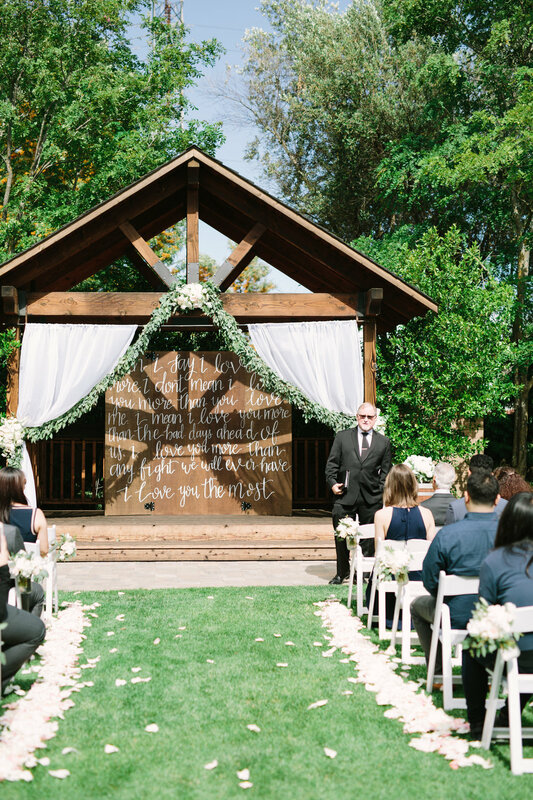 The large wooded pergola that defines the altar was decorated with swags of seeded eucalyptus and floral tiebacks. 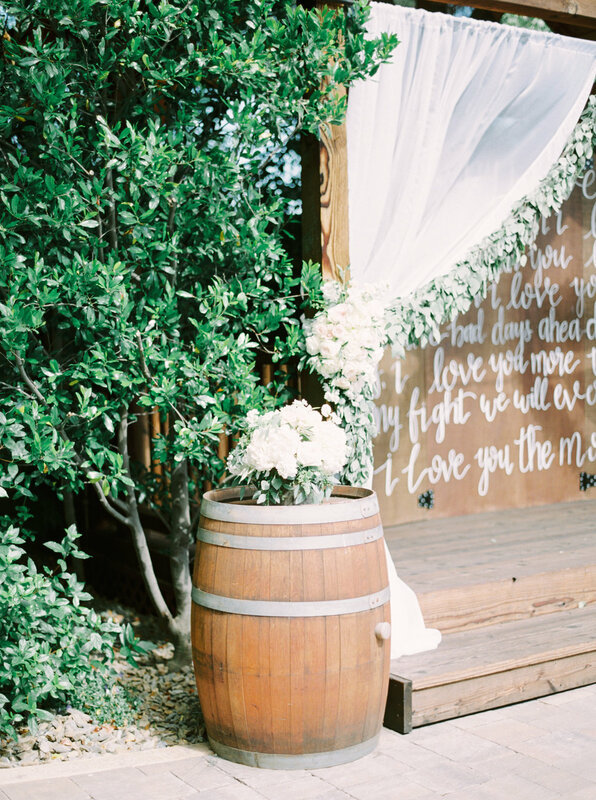 The wine barrels flanking the altar re-purposed centerpieces from the ceremony. 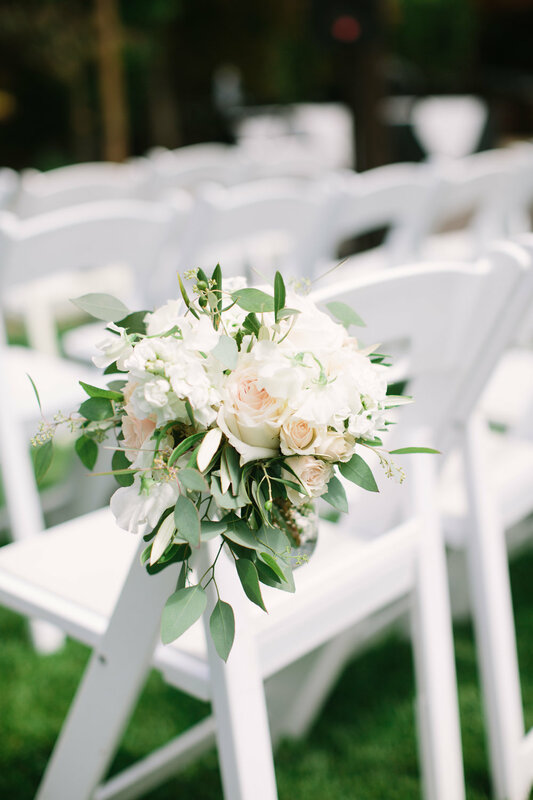 Along both sides of the aisle were blush pink and white roses petals while every other chair hung a jar filled with white and blush flowers with greenery. The reception had low lush centerpieces in rustic grey wood boxes with hydrangea, roses, tea roses, stock, seeded eucalyptus, and olive. 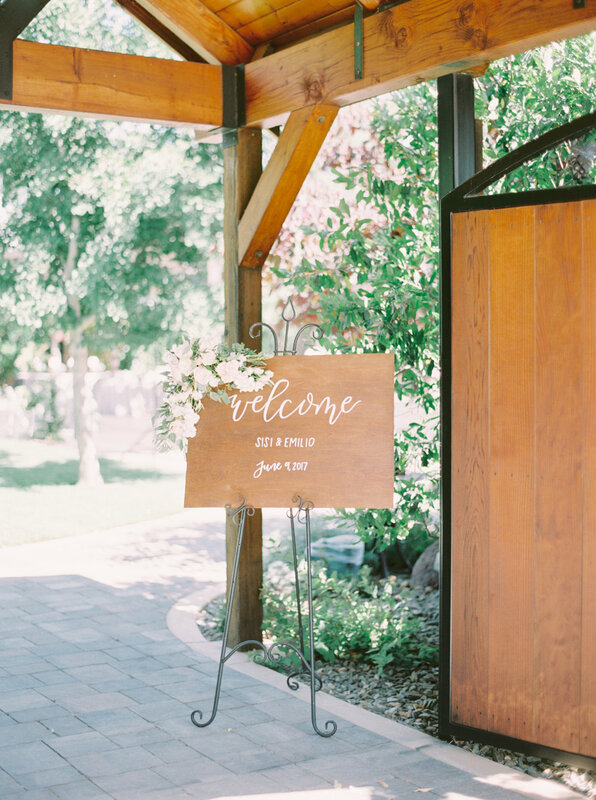 The wood welcome sign had a corner floral piece with roses, stock, and tea roses. 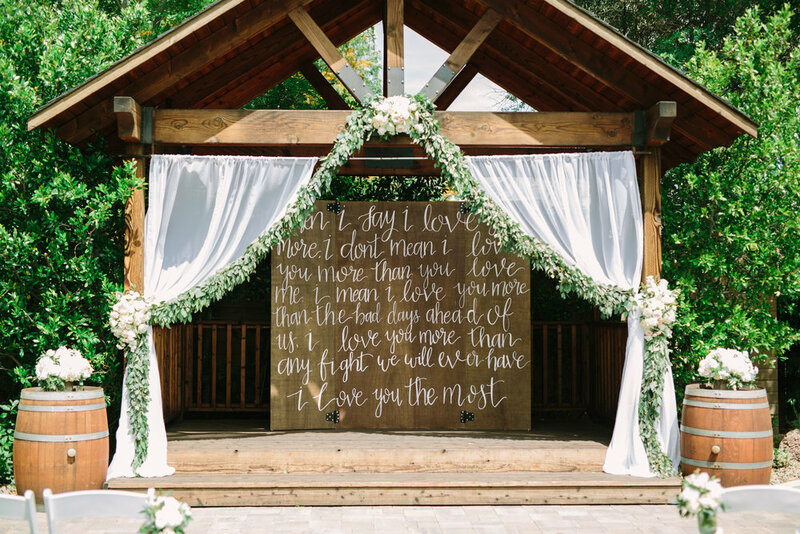 The lovely day was captured by This Love of Yours Photography.